To furnish the varied requirements of our patrons in best possible way, we are involved in providing a diverse series of Distribution Transformers. 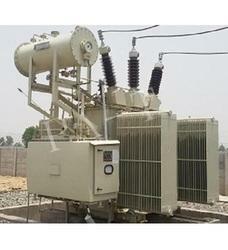 We sell ABB oil type and dry type power distribution transformer upto 25 kVA 11 kV to 132 kV. We have carved a niche amongst the most trusted names in this business, engaged in offering comprehensive range of Distribution Transformer. 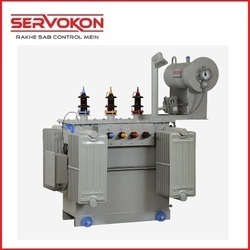 Counted as one of the prominent organizations, we are involved in offering a wide range of Distribution Transformer. These are available with us in various specifications and range as per the exact demands and requirements of clients. owing to its noise free performance, these devices are widely demanded by clients. - The range varies from10 KVA up to 5000 KVA. - In addition to this, three phase transformer conforming to IS: 1180 (Part I II), IS: 2026 (Part I to V) and relevant international standards are also available in our stock. We Manufacture state of the art technology low loss, high efficiency power transformers and electric transformer catering to the Indian as well as International Market. Theese power distribution transformers has been designed & produced as per IS & IEC standards.